There is a common misconception circulating that using a managed service provider (MSP) is outsourcing. It isn’t. A good working definition of outsourcing is, “To surrender an aspect of your company’s functionality to a third party.” For example, if you hire an outside firm to take care of your computer support, you have outsourced computer support because no one in your company participates in that activity. The most often quoted reason for using an MSP or outsourcing is to “save money.” Using a third party for certain types of work does lead to some cost savings because you have fewer employees, you don’t purchase hardware, you don’t pay for power, and you don’t have to worry about physical security of purchased assets. In business, outsourcing involves the contracting out of a business process to another party (compare business process outsourcing). The term “outsourcing” dates back to at least 1981. Outsourcing sometimes involves transferring employees and assets from one firm to another, but not always. Outsourcing is also the practice of handing over control of public services to for-profit corporations. Products and services purchased from third party vendors allow you to focus on your core business, which is probably not maintaining and supporting racks of servers, network equipment, and patching operating systems and applications. You can focus more on manufacturing, selling, and marketing your actual products and services. Unless you’re in the IT business, using a third party vendor makes sense. You can be more competitive in the market by concentrating your resources on your priorities, your research, your development, and your competition. Global markets change rapidly. Business requirements change rapidly. And your business must change rapidly too. To change with business tides, your business needs to be as agile and as lean as possible. MSPs and outsourcing make this agility possible. Now, that you have a feel for how MSPs and outsourcing are similar, it’s time to explore the differences so that you can clearly see that using an MSP is not outsourcing. Outsourcing is a release of control, whereas an MSP allows you to exert a great deal of control over your leased infrastructure and services. Control is one of the major benefits of using an MSP over outsourcing. If you require too much control, outsourcing becomes cumbersome and the trend toward bringing the work back in-house is usually the next step in regaining control. The reason is that exerting control over a third party service or personnel is very difficult to do in that the personnel performing the work are not your employees and therefore you have little enforceable control over them. Outsourcing usually affords you a set of services for an amount of labor. Depending on the contract that you have with the outsourcing company, you might never know what your monthly charges are going to be due to changing needs. For example, if you outsource your desktop support, then you’re charged an hourly rate based on the visits and work performed by the outsourcing company’s employees. There’s no way to predict from one month to the next how much service you’ll need. MSPs charge a subscription that changes only when you add or remove services or products from your inventory. You can predict what your fees will be for the foreseeable future. Having a fixed set of costs also allows you to plan for growth in your projects and in your budget predictions. It’s easier to plan your business needs around these fixed costs and pay as you grow. The pay-as-you-go/grow plan is exciting for businesses because it allows you to better manage growth and to expand when ready. An MSP is an extension of your business, not simply a service that you call on an as-needed basis. The MSP is always there, working in the background to maintain your systems, to keep its service levels high, and to retain your business. The MSP’s success is tied directly to your success and its ability to perform helps your business to succeed. 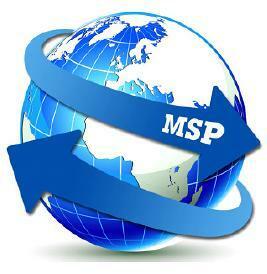 The MSP and your business are not mutually exclusive to one another. The relationship is a symbiotic one where both parties benefit from the other’s successes. Finally, the MSP is highly flexible. You can augment your in-house infrastructure by using the MSP as a disaster recovery setup and you can phase in its use as your internal systems go off lease or are ready for a refresh. The MSP is there and ready to take on your capacity at will in an on-demand fashion. When you’re ready to go “all in,” you can do so without hesitation. The MSP will also help with your transition by providing consulting and other services to make the move smooth and without significant downtime. Using an MSP is not outsourcing. An MSP acts an extension of your business, allowing you to better manage your budget, to leverage a modern infrastructure, and to efficiently handle business expansion. Sengled Boost Reinvents the Light Bulb as a Wi-Fi Repeater Is your company MSP material?